Grid/Lock VI, 2017, aluminium, sisal, transparent film, pop-up display structure, steel, spray-paint, 317 x 300 x 53 cm. Emptiness (second toss), 2017, oyster shells, steel, plexiglas, MDF, acrylic paint, 70 X 50 X 10 cm. Grid/Lock IV, 2017, pop-up display structure, sisal, UV print on white plexiglas, 323 x 226 x 33 cm. Mobile Unit, 2017, pop-up display structure, steel rods, oysters shells,anodized aluminium, aluminium arrows shafts, variable dimensions. acrylic paint, spray paint, variable dimensions. Duracell campfire, 2017, folding aluminium camping beds, stainless steel, UV print on transparent acrylic glass, 330 x 190 cm. Keep your master channel sync’d with your master channel (web), 2017, UV print on dibond, aluminium, stainless steel, sisal. 140 x 100 x 12 cm. 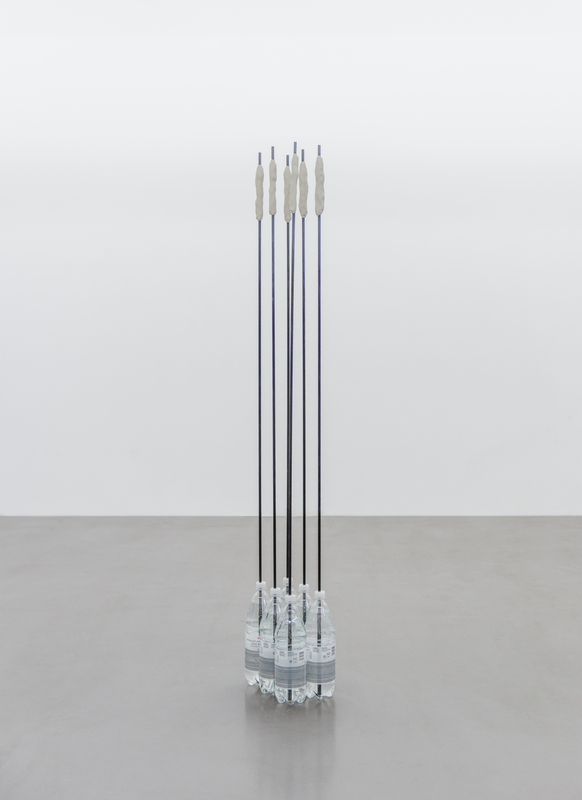 Amazon, 2017, pop-up stand structure elements, cords, aluminium arrow shaft, carbon fiber arrow shaft, hunting arrowhead, 234 x 142 x 5 cm. Sensitive skin (Pride of Madeira Blue), 2017, w/ Annabelle Arlie, podiatrist chair, steel, nylon rope, handmade soap, UV print on transparent plexiglas, variable dimensions. Deep in the woods, 2017, found dead wood, cord, UV print on crystal acrylic glass, 272 x 324 x 102 cm. The dancer, 2017, UV print on plexiglas, wood, oysters shells, stainless steel, 221 x 70 x 60 cm. Keep your master channel sync’d with your master channel (coral), 2017, UV print on dibond, aluminium, stainless steel, sisal. 140 x 100 x 12 cm. Silkroads, 2017, UV print on tarp, UV print on crystal acrylic glass, stainless steel, cords, 140 x 100 x 7 cm each. 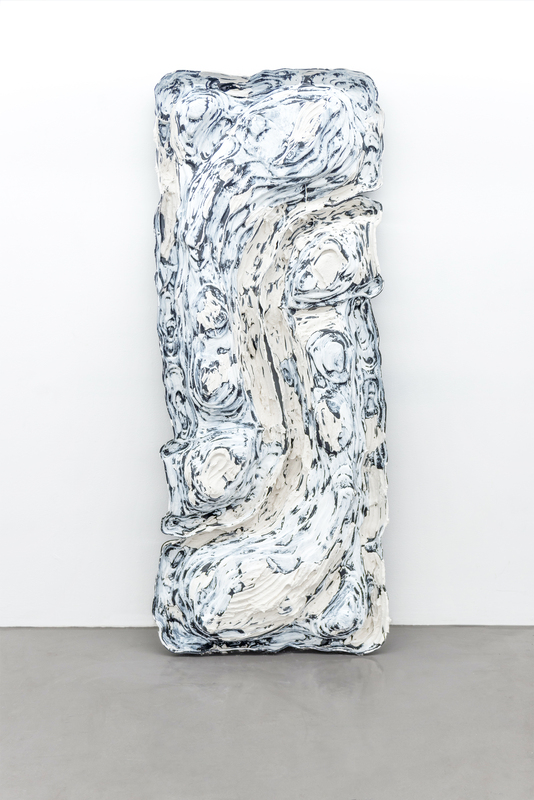 Moonraker, 2017, pop-up display stand structure, synthetic white clay, 620 x 220 x 46 cm. The witch (mandragore), 2017, Inkjet print on cellular PVC, plexiglas, PVC, spraypaint, 100 x 140 cm. 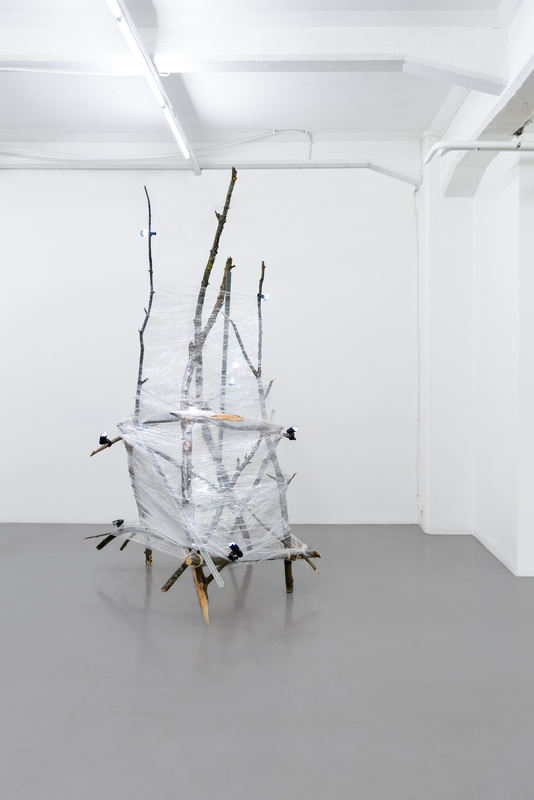 Flag, 2017, aluminium, nylon fabric, sniper rifle scope, cord, stainless steel, 580 x 200 x 6 cm. Backpack, 2016. Coal bag, acrylic glass, wifi antenna, moss, ink, 63 x 42 x 18 cm. Storage cabinet with improved RFID antenna system, 2015, UV print on plexiglas, stainless steel, carabiner, padlocks, acrylic paint, 100 x 100 x 140 cm. Photo : Vinciane Verguethen. Ultra High Frequencies, 2015, satellite antennas, bambo, feathers, moss, aluminium brackets, satellite heads, 270 x 220 x 90 cm. Photo : Vinciane Verguethen. 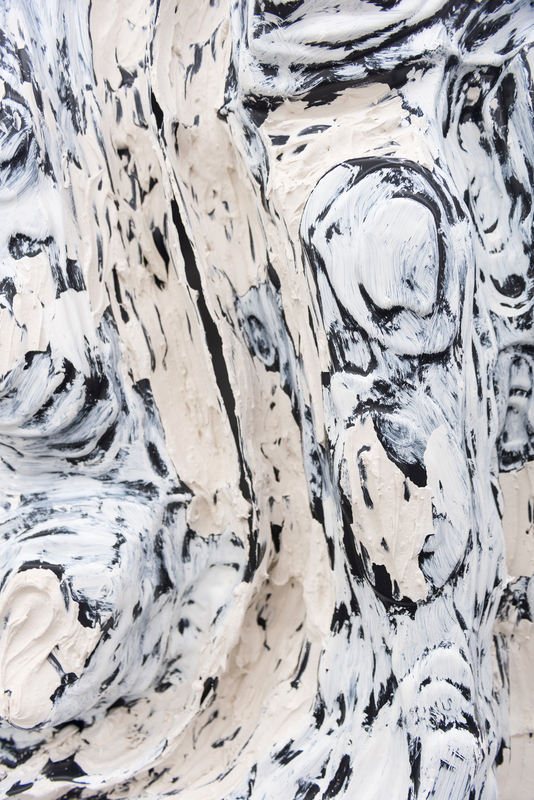 Monument, 2015, clay, rubber, oyster shells, rapsberry pi plexiglas case, 50 x 50 x 81 cm. Keep your master channel sync’d with your master channel (selva), 2016, UV print on brushed aluminium, stainless steel, nautic nylon rope, aluminium, 140 x 100 x 12 cm. Silica, 2016, acrylic glass, sand, wifi antennas, steel, 87 x 37 x 1 cm. Jelly, 2016, seastar, plexiglas, quick-up tent structure, self-hardening clay, found print in foam, 159 x 40 x 40 cm. Photo : Ivan Divanto. Dreamcast, 2016, self-hardening clay, antenna, charcoal, plexiglas, plastic bag, aquarium crystals, 112 x 85 x 9 cm. Photo : Ivan Divanto. Just the same infinite, 2016, plexiglas, wood, adhesive print, ink, varnish, 56 x 35 x 23 cm. Photo : Ivan Divanto. I’m prepping for the end of the world, 2016, plexiglas, wheat flour, lambda print on A5 paper, 90 x 30 x 21 cm. Photo : Rebecca Fanuele. 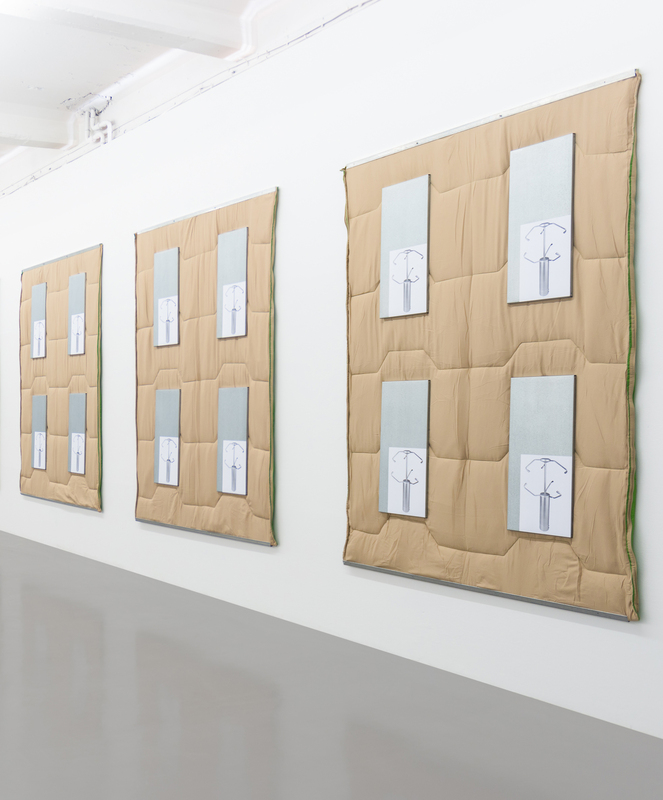 Spacer grid with mixing vanes and nuclear fuel assembly employing the same, 2015, UV print on plexiglas, stainless steel, carabiner, padlocks, acrylic paint, 100 x 100 x 140 cm. Photo : Vinciane Verguethen. Flat panel array antenna, 2015, UV print on plexiglas, stainless steel, stainless steel spring, carabiners, padlocks, clay, acrylic paint, 100 x 100 x 140 cm. Photo : Vinciane Verguethen. Applications and fabrication techniques for large scale wire grid polarizers, 2015, UV print on plexiglas, stainless steel, carabiner, padlocks, acrylic paint, 100 x 100 x 140 cm. Photo : Vinciane Verguethen. Planar Ultrawideband Modular Antenna Array, 2015, UV print on plexiglas, stainless steel, carabiner, padlocks, clay, acrylic paint, 100 x 100 x 140 cm. Photo : Vinciane Verguethen. Spacer Grid, 2015, UV print on plexiglas, stainless steel, carabiner, padlocks, acrylic paint, 100 x 100 x 140 cm. Photo : Vinciane Verguethen. Splash grid filler, 2015, UV print on plexiglas, stainless steel, carabiner, padlocks, acrylic paint, 100 x 100 x 140 cm. Photo : Vinciane Verguethen. The truth is out there, 2016, UV print on plexiglas, stainless steel, self-hardening clay, plexiglas, Samsung tablet, video loop, 116 x 70 x 50 cm. Photo : Vinciane Verguethen. Temple of zoom, 2015, 19″ studio racks, plexiglass, 3D printer, styrofoam, metal, MDF, mirror, adhesive linoleum, 92 x 173 x 158 cm. Photo : Vinciane Verguethen. Ghost in the shell, 2015, chromojet print on velvet carpet 1200 g/sqm, plexiglas, hammered aluminum, natural self hardening clay, 160 x 340 x 183 cm. Photo : Vinciane Verguethen. Chardon, 2015, self hardening clay, expended mesh corner beads, chicken wire, cross spacers, bamboo, white plexiglas, styrofoam tile, vinyl letters, 70 x 88 x 82 cm. Freak/Energy, 2015, glass bricks, bricks, modeling clay, HDD 4 bays case, 140 x 35 x 21 cm. Photo : Vinciane Verguethen. Canyon, 2015, mirror shelf, earings, sandwich plastic wedges, ceiling polystyrene moulding, 150 x 50 x 60 cm. Photo : Vinciane Verguethen. Transcom, 2015, mdf, analog antenna, modeling clay, concrete block, blank cd, 230 x 150 x 35 cm. Channel, 2015, osb, peinture aérosol, papier, plexiglas, système d’accroche mural pour écran, 80 x 60 cm. High pass filter, 2014, stainless steel antennas, modeling clay, table, 120 x 140 x 60 cm. Main course, 2014, video, 11mn, looped, variable dimensions. 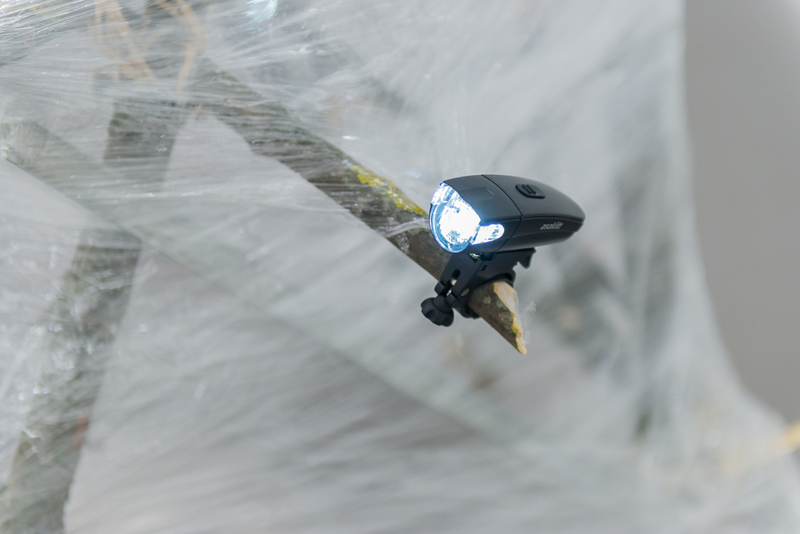 Off the hook, 2014, fiberglass fishing rod, flat screen, video loop, variable dimensions. Photo : Vinciane Verguethen. Bermuda, 2014, sandwich wedge boxes, spraypaint, 138 x 95 x 37 cm. Midi thru, 2014, avocado, midi interface, 14 x 15 x 13 cm. Niveaux, 2014. Square, found picture, perspex, 60 x 41 cm. Photo : Vinciane Verguethen. Longue portée, 2014. Tenue de camouflage sniper Ghillie, tubes fluorescents. 220 x 90 cm.